Under normal operating conditions, a cooling tower will evaporate 80% of the make-up water added to the system. Unfortunately, many facilities pay not only for all the water they add to the cooling tower but also sewer charges on that same amount of water — even though 80% was never returned to the sanitary sewer system. Many municipalities offer what is known as Evaporation Credit. Customers must document the volume of water evaporated through the use of make-up and bleed water meters. Simply put, facilities that qualify for this program do not pay sewer charges on the volume of water they evaporate through the cooling tower. Requirements vary by municipality, but where offered, the savings are usually several thousand dollars a year. 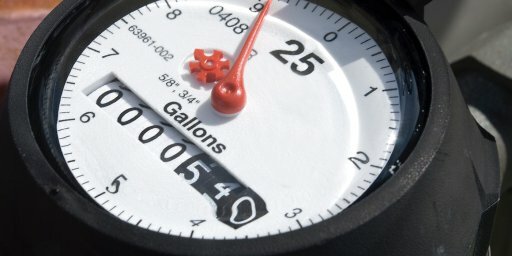 All require water meters on the make-up and bleed-off and some require line diagrams, meter specification sheets, and verification of meter calibration. Contact us using the form below to see if your facility is eligible for evaporation credits and how we can make the process simple and fast! Advantage Water Engineering also provides consulting on other ways to maximize the effectiveness of your cooling tower and water treatment system.